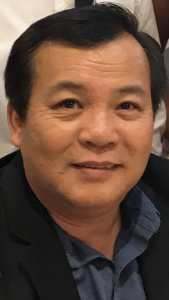 Chanh Nguyen, in Woburn, October 15th, 2018 at forty nine years of age. Beloved husband of Hue Do of Woburn. Devoted father of Hanh Do, and Tran Nguyen both of Woburn. Dear brother of Hung Nguyen of Woburn and many loving relatives and friends in Vietnam. A Funeral will be held Friday, October 19th from 7-9 a.m. in the Lynch-Cantillon Funeral Home, 263 Main Street, Woburn, followed by a Funeral Service in Puritan Lawn Chapel, 185 Lake Street, Peabody at 10. Relatives and friends are respectfully invited to calling hours at the Funeral Home on Thursday 4-9 p.m.
A Funeral will be held Friday, October 19th from 7-9 a.m. in the Lynch-Cantillon Funeral Home, 263 Main Street, Woburn, followed by a Funeral Service in Puritan Lawn Chapel, 185 Lake Street, Peabody at 10. Relatives and friends are respectfully invited to calling hours at the Funeral Home on Thursday 4-9 p.m.
My name is Steve Valente and I worked with Chanh at dataCon for many years. Although I am not able to attend the funeral services I wanted to extend my condolences. Chanh was a good man, a talented and reliable employee, and I’m sure a good husband and father.